In the context of the economic recovery and public budget cuts, policy silos and fragmented short-term policy interventions have become luxuries that our economies can no longer afford. Government intervenes in a myriad of ways at the local level, and rarely are these interventions co-ordinated effectively. Most of us are familiar with policy “silos”. Such divisions are often taken for granted, blamed on historical working relationships (“it has always been like that”) and organisational cultures (“they don’t work like we do”). However these divisions come at a cost. The issues and challenges facing local communities are often complex, and require a holistic approach to be resolved. 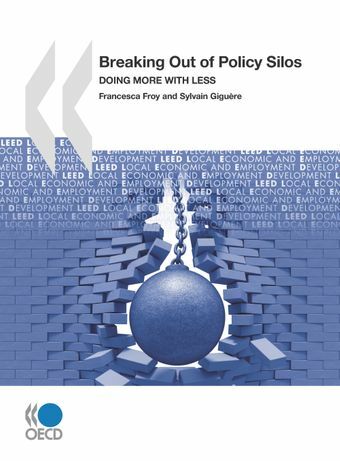 This book provides concrete advice to policy makers at both national and local levels on how to better align policies, reduce duplication and waste, and “do more with less”. It is based on comparative analysis of 11 countries in Australisia, Europe and North America and combines rankings on where countries stand in terms of the integration of employment, skills and economic development policies, with concrete examples of successful policy integration on the ground.